After years of war, displaced farm families in Central African Republic are returning home to find their homes burned and farming tools missing. In South Sudan, food supplies are intensely strained as host communities struggle to support tens of thousands of people who have been internally displaced â&#x20AC;&#x201D; many women, children, and the elderly. Your gifts are the reason we can act quickly. Thank you. This spring, we're partnering with Canadian Foodgrains Bank to launch two new emergency responses to help vulnerable families in South Sudan and Central African Republic get through a desperate food shortage and begin to rebuild. All material and advertising should be in the office of The Canadian Lutheran five weeks prior to publication date. Advertising rate card available upon request. The Canadian Lutheran 3074 Portage Ave. Winnipeg, MB R3K 0Y2 Telephone: 204-895-3433 FAX: 204-832-3018 E-mail: editor@lutheranchurch.ca Materials published in The Canadian Lutheran, with the exception of Letters to the Editor, news reports, and advertising, receive doctrinal review and approval before publication. Contents of supplements are the responsibility of the organization purchasing the space. ©2019 Lutheran Church–Canada. Reproduction of a single article or column for parish use does not require the permission of The Canadian Lutheran. Such reproductions, however, should credit The Canadian Lutheran as the source. Scripture taken from the HOLY BIBLE, NEW INTERNATIONAL VERSION. Copyright © 1973, 1978, 1984 International Bible Society. Used by permission of Zondervan Bible Publishers. “Three Angels,” by Andrei Rublev (c. 1411-1425) is a well-known traditional depiction of the Holy Trinity. The icon is based on the story in Genesis in which three visitors appear to Abraham near the oaks of Mamre (Genesis 18). The cover art for this issue is a detail from Albrecht Dürer’s “Adoration of the Holy Trinity” (Landauer Altar), 1511. Trinity, in a way incomprehensible to human reason, is one eternal being: “Hear, O Israel: The Lord our God, the Lord is One” (Deuteronomy 6:4). The Athanasian Creed explains: “The Father is God, the Son is God, the Holy Spirit is God; and yet there are not three Gods, but one God.” In this issue, we explore the unique nature and work of the Persons of the Holy Trinity. Rev. Warren Hamp discusses God the Father (page six), Rev. Dr. Stephen Chambers the Son (page nine), and Rev. Kurt Reinhardt the Holy Spirit (page twelve). But while we study the three Persons of the Trinity individually, we must not imagine them as working independently one from another. Instead, as St. Athanasius has written, we must remember that in all things the Trinity works together, every act proceeding “from the Father through the Son in the Holy Spirit” in perfect unity. In every act—creation, redemption, sanctification—God works as One, because He is One. The Persons are distinct and yet of one substance. They operate in different ways and yet always in concert. Those wishing to reflect more deeply on the Trinity do well to start with the Athanasian Creed. Athanasius spent his life defending and explaining the Bible’s teachings on the nature of God. The creed, while not written by Athanasius himself, faithfully reflects the fruits of his studies as well as others. At the same time, let us not treat the mystery of the Trinity as something simply to be studied. The Trinity is God, and God is to be praised, thanked, and adored. “The Trinity in Unity and United in Trinity is to be worshipped,” says the Athanasian Creed. God help us to worship Him as we ought. I believe in God the Father Almighty What does it mean that God is our Father? ome would accuse the church of being typically patriarchal in naming God as “Father.” The assumed ‘male-ness’ of God is purported to be another example of men running the show, so to speak—making God in their image. Yet since God is Spirit, He is neither male nor female in the human sense; but He is our Father. This is the manner in which God reveals Himself. Moses asks the people of Israel: “Is not He your Father, Who created you, Who made you and established you?” (Deuteronomy 32:6). Jesus teaches us to call God ‘Our Father.’ He is not called ‘Master’ (though He is the Lord). He is not like the false gods, the ‘Baals’, who lord it over people and demand to be appeased in some way. He is the Father Who gives, the Father from Whom all good comes. “Every good gift and every perfect gift is from above, coming down from the Father of lights with Whom there is no variation or shadow due to change” (James 1:17). The Father is God Who has made heaven and earth. With His Son and the Holy Spirit, He is the Creator of all that is, and ever will be. “The heavens declare the glory of God, and the sky above proclaims His handiwork” (Psalm 19:1). The Father is the Maker of heaven and earth. There is nothing that is which He has not made. “The earth is the Lord’s and the fullness thereof, the world and those who dwell therein” (Psalm 24:1). Yet God the Father is not a mass-producer. He is our personal God. We confess in the Catechism that “God has made me and all creatures; given me my body and soul, eyes, ears, and all my members, my reason and all my senses, and still takes care of them.” David prays to the Father in his psalm: “For you formed my inward parts; you knitted me together in my mother’s womb” (Psalm 139:13). Our Father is not distant, but has singly and personally created each one of us. His creation is ongoing; His preserving is what keeps us alive in this world, and in the world to come. Since God is Spirit, He is neither male nor female in the human sense; but He is our Father. This is the manner in which God reveals Himself. them, for they know not what they do” (Luke 23:34). seen until the resurrection and the world to come, we Our God is not against us, but for us. That is, He truly already have begun, by His grace, to be recognized as and actually wants us in His ‘kids’. So Jesus tells us: His eternal family. Jesus “In the same way, let your tells you that very clearly: light shine before others, “For this is the will of so that they may see your my Father, that everyone good works and give glory who looks on the Son and to your Father who is in believes in Him should heaven” (Matthew 5:16). have eternal life, and I And since we are will raise him up on the children of God the Father, last day” (John 6:40). We we are also sisters and call God ‘Our Father’ then brothers. We belong to a because, as Luther writes family that will never end, in the Small Catechism, where all have a place, He “tenderly invites us where each of us is the to believe that He is our apple of our Father’s eye. true Father and that we We already live, by His are His true children, so grace, as that family within that with all boldness and His holy church. confidence we may ask Him as dear children ask We all believe in one true their dear father.” God, Who created earth That God is our Father and heaven, the Father means that we are His Who to us in love has the family. “See what kind of right of children given. love the Father has given He in soul and body feeds to us, that we should be us; all we need His hand called children of God; provides us; through all and so we are” (1 John snares and perils leads us, 3:1). We are being remade watching that no harm in the image of His Son, betide us. He cares for us by by the forgiveness of day and night; all things sins and the working “The Creation of the World.“ (illustration in the Luther Bible): are governed by His might. Lucas Cranach, 1534. of the Holy Spirit. And (LSB 954:1) looking like the Son, we also begin to bear again the image of our Father. Although the fullness of Rev. Warren Hamp is pastor of Faith Lutheran Church in our being children of the heavenly Father will not be Kitchener, Ontario. following address: The Canadian Lutheran c/o Lutheran Church–Canada 3074 Portage Avenue Winnipeg, MB R3K 0Y2 Letters may be edited for length and clarity. Letters in response to other letters will generally not be published. Detail from “The Good Shepherd” (St. John the Baptist Anglican Church, Ashfield, Australia): Alfred Handel, c. 1933. (Image credit: Toby Hudson, Wikicommons). The Spirit as true God is everywhere, as He gives the breath of life to all things, but He is personally found and does His special work with and only with God’s Word. As the Spirit joins me to Christ and Christ to me, He takes all that is Christ’s and delivers it to me. good tree is recognized by its fruit, it produces good our own unholiness, as He washes away our sin at fruit because it is a good tree. We receive holiness the same time. What He begins there He carries on from God as He shares His own with us. Satan and the throughout our lives as He continually renews us in our other angels who rebelled against God became evil and life in Christ, as He deepens us in its truth through the so acted accordingly because they cut themselves off Word and continues to wash away our sins in absolution. from sharing in God’s He confirms us in our holiness. The good baptismal reality as holy angels who continue children of God every to gaze on the face of time He unites us to the Father are holy and Christ at the altar, as He act accordingly because draws us there to receive they continue to share in Christ anew in His body His holiness. and blood. Here lies the answer In all of these ways to the question of why I the Holy Spirit is at receive the Holy Spirit wo r k t o ke e p u s i n more than one time in faith—that is, to keep us my life. Some will ask, connected to Jesus. The “If I received Him at early Lutherans were Baptism do I need to clear on the truth, that receive Him again at not only does the Holy Confirmation or for Spirit create faith where that matter week by and when He pleases, week or even daily as but He and He alone He comes to me with sustains it in us also. The God’s Word?” The Holy beautiful thing about our Spirit comes to us over salvation is that God and over again to share does it all from A to God’s holiness with us— Z. Nothing, absolutely to keep us holy. Like a Detail from “The New Jerusalem” (Melk Abbey, Austria): Johann Michael nothing, is left in this piece of metal held in Rottmayr, c. 1716. (Image credit: Uoaei1, Wikicommons). poor miserable sinner’s a flame—as long as the hands. What I do will metal remains in the flame it shares in the fire’s heat always end and fail but what God does endures forever. and light. Remove it from the flame though and it will This truth is one that I must keep in mind as a pastor cool down, losing both the heat and light of the fire. and encourage others to remember when it comes to The heat and light will linger for a time but kept away the faith of others, whether it’s reaching out to the from the flame long enough it will go dark and grow unchurched or restoring the wandering and lost. This cold. This is what happens with God’s holiness in us is the Holy Spirit’s work and so we must look to Him, when we are deceived into thinking that we can get by and Him alone, to be at work in and through us to do without the Word of God. what He wills when and where it pleases Him. The Holy Spirit makes us holy by connecting us to Jesus. He clothes us with Christ in Baptism so that Rev. Kurt Reinhardt is pastor of Trinity Evangelical Lutheran Church Christ’s holiness becomes our holiness. He takes away in Kurtzville, Ontario. Spirit of my Faithful God 1. O Spirit of my faithful God Come dwell within me by the Word; For sin has left my heart so flawed, I cannot choose Christ for my Lord. 2. O Spirit of the Holy One Come purge me with your cleansing fire, Lest I remain a wrath-doomed son, Beset by sin’s unbound desire. people known and unknown, people whom God has arranged as members of the one Body. Resurrection Lutheran Church has been able to complete all the renovations necessary to get Linda home. They have repaid the CEF loan in full and designated the remainder of the donations for further adaptations that would make Linda’s life at home more comfortable. This sudden crisis for one member, revealed the whole body invigorated with the love of Christ, working together so that Linda could return home, begin returning to work at the seminary, and continue her recovery with confidence in the Lord’s care so that she will one day soon (perhaps for Easter) join her church family again at the communion rail in the very real fellowship that we have with one another through the Body and Blood of Jesus. The members of Resurrection Lutheran Church have also been overwhelmed by the loving support of the church at large, which has enabled them to care for their pastor’s family, and continue their own ministry of the Gospel in their community, reaching out to the students at Brock University, and participating in the formation of pastors and church workers through their close support of Concordia Lutheran Theological Seminary. Every time a donation is made to someone in need, every time food is brought over to the house, every time you visit someone who feels disjointed, the anatomy of the Body of Christ displays its beauty, and each member sees the reality that makes them indispensable. St. Paul is not the only one who recognizes a beautiful body when he sees it. Every time a donation is made to someone in need, every time food is brought over to the house, every time you visit someone who feels disjointed, the anatomy of the Body of Christ displays its beauty, and each member sees the reality that makes them indispensable. Rev. Dr. Albert Collver teaches on World Lutheranism and the Ecumenical Movement. from the City Church—St. Mary’s— where Luther preached regularly. After an extended period sitting derelict, the building was purchased in 2006 and underwent extensive renovations over several years under the care of the International Lutheran Society of Wittenberg—a joint project of The Lutheran Church—Missouri Synod (LCMS), the Independent Evangelical Lutheran Church in Germany (SELK), and Concordia Publishing House (CPH). Today the International Lutheran Center provides a welcoming space for visitors and locals in Wittenberg to learn, grow, study, meet, retreat, and hear the Gospel. T h e L u t h e ra n L e a d e r s h i p Development Program is a twoyear certificate program which aims to provide Lutheran church bodies around the world an opportunity to develop leaders who are competent in both solid confessional Lutheran t h e o l o g y a s we l l a s p ra c t i c a l skills in leadership and resource management. The program is a project of the International Lutheran Council, working in cooperation with the LCMS, CPH, and CTSFW. Students in the LLDP meet three times a year over a two year period for a total of twelve courses. Additional course work, writings, and examinations take place at a distance. The next round of classes will take place at Concordia Theological Seminary in Fort Wayne, Indiana from July 8-19, 2019. Rev. Dr. Namoichi Masaki and LLDP students enjoy a meal together. Wittenberg installation a ‘global event’ Paul has a vision in which a man GERMANY - On February 24, from Macedonia comes and begs him 2019, Rev. Dr. Wilhem Weber was to come to them. installed as Managing Director of Now, Dr. Weber said, “we come the International Lutheran Center at here to Wittenberg, and we are the Old Latin School in Wittenberg. astonished to see [church] buildings The event was attended by guests not much filled with life. It is a great from around the world, with Africa concern, but it also shows the great especially well-represented. responsibility we have.” “I am very grateful that on this, my special day, you are here as well,” said Dr. Weber to those gathered for the installation. “Just like Paul we are always tempted to say ‘No, I’m too young, or I’m too this, or I’m to that.’ We need the encouragement of the brothers. That is why we take hands and say, ‘Praise the Lord. We will do this together because He has joined us, not just as acquaintances but as members of the same family— God’s family, His people.’” Dr. Weber has formerly served both as Bishop of the Lutheran Church in South Africa (LCSA and as Rector of Lutheran Theological Seminary in Pretoria. The installation service was Rev. Dr. Wilhelm Weber. conducted by Rev. Dr. Hans-Jörg “The Gospel was blooming in all Voigt (Bishop of the Independent its brightness” long ago in Germany, Evangelical Lutheran Church in he said. “Look what they’ve got now. Germany and Chairman of the Perhaps wealth, yes. But what about International Lutheran Council) that which really makes the heart come and Rev. Dr. Albert Collver (General to rest? Have they got that? We need to Secretary of the ILC and Senior pray that God will give grace.” Managing Director of Wittenberg’s Dr. Weber’s work with the International Lutheran Center). International Lutheran Center will Dr. Weber’s sermon for the serve as a vehicle for Christian outreach installation was entitled “From to return to the heartland of the Macedonia to Wittenberg,” drawing Reformation. It “gives Confessional on Acts 16:6-15. In that passage, St.
Lutherans a chance to bring the pure Gospel anew to Germany, Europe, and to the world,” noted Deputy Bishop Helmut Paul of the Free Evangelical Lutheran Synod in South Africa (FELSISA). “It is a great opportunity and yet also a great responsibility.” The FELSISA deputy bishop was one of a number of African guests present for Dr. Weber’s installation, with Lutheran leaders from Ethiopia, Ghana, Madagascar, South Africa, and Tanzania all in Wittenberg for classes with the Lutheran Leadership Development Program. Dr. Weber welcomed these guests, explaining that the work of the International Lutheran Center, like the work of the Church more generally, is something done in partnership with others. “[God] does not only work with individuals like Paul,” he said. “He also works with the communion of saints, the congregation of believers.” “That’s what you are,” he continued. “God wants us to work together in this…. We are not to just stay alone, but rather to seek the communion of the faithful— and, together, to do what God has entrusted to us: namely, be faithful witnesses to Him.” The International Lutheran Center is a joint project of The Lutheran Church—Missouri Synod, Germany’s Independent Evangelical Lutheran Church, and Concordia Publishing House. Rev. Dr. Albert Collver speaks at the ILC’s 2018 World Conference in Antwerp, Belgium. Darin Storkson at the ILC’s 2018 World Conference in Antwerp, Belgium. bylaws; welcomed 20 new church bodies into membership over two successive world conferences; and launched the Lutheran Leadership Development Program, among other accomplishments. On March 19, the ILC Executive Committee appointed Darin Storkson to serve as Interim General Secretary. Prior to this, Storkson served as ILC Deputy General Secretary. He began working with the ILC in 2017. “Darin Storkson brings great knowledge of the work of the International Lutheran Council, having served with Dr. Collver for some time,” noted ILC Chairman Voigt. “He will ensure the important work begun in recent years not only continues but thrives. May God bless him in this new role, and through him the witness of confessional Lutherans worldwide.” Storkson has a strong background in international affairs, formerly serving as a diplomat with the International Committee of the Red Cross, a foreign direct investment consultant, and a director in various international roles for The Lutheran C h u rc h — M i s s o u r i S y n o d f o r fourteen years. the server are now resolved. However, if you sent an email to The Canadian Lutheran or to any other recipient with a lutheranchurch. ca email address and have not received a response, it’s possible your email was lost. Please write again. the responses discussed at the event included: Missions and Outreach; Regions and Circuits; Resources; Communication and Transparency; Care and Concern for Pastors/Church Workers; Community; Congregations with Vacancies; Areas of Concern; and Additional Ideas. Reward yourself by planning ahead! RMMC Members (not in order): Rev. Ron Abresch, Sonja Bland, Rev. David Bode, Rev. Rod Buck, Rev. Fraser Coltman, Stephen Glanfield, Deanna Friesen, Rev. Laverne Hautz, Rev. Mark Hennig, Michelle Heumann, Rev. Russ Howard, Rev. Andy Kahle (not pictured), Betty Marzke, David Mitchell, Rev. Rob Mohns (acting chair), Tiffany Player, Rev. Michael Schutz (secretary), Rick Slater, Rev. Alan Visser, Charles Von Hahn, Dieter Witzke, Rev. Ken Eifert (not pictured). to come alongside the council to help accomplish their work. O n S a t u r d a y, t h e R M M C welcomed Rev. Dr. James Gimbel, President of Concordia Lutheran Seminary, Edmonton who led two introductory leadership training sessions for the council members. present in the congregation. The service was followed by a light lunch. Everyone at Bethlehem is excited to welcome Pastor Lyons, his wife Linnea, Noah, Elissa and Ethan into their congregation. Higher Things retreat in Regina REGINA - Mount Olive Lutheran Church hosted a Higher Things youth retreat February 21-22 under the theme “The Christian Soldier: Warfare in the Two Kingdoms.” Rev. Dr. Harold Ristau was the guest speaker for the event. Dr. Ristau is Assistant Professor of Theology at Concordia Lutheran Theological Seminary (St. Catharines, Ontario) and a former Chaplain and Major in the Canadian Armed Forces. He deployed to the Middle East on several occasions, and has spoken widely on the ethics of war and soldiering. Drawing on Romans 13 and the Church’s confessions, Dr. Ristau discussed the vocation of soldiers, the nature of God-given authority, and the responsibility of Christians to protect and serve their neighbours. He also discussed the ways in which Christians equip themselves with the armour of God for spiritual warfare in daily life. Higher Things is a recognized service organization of The Lutheran Church–Missouri Synod. A special confirmation PRINCE ALBERT, Sask. - Willow Vo g e l g e s a n g w a s confirmed January 13 during the Divine Service at Redeemer Lutheran Church. This was an extra-special confirmation for Ronnie Mensch, who had been Willow’s Sunday school teacher from her first day of kindergarten. Willow was the only student beginning December 2008 for several years and is the first student that Ronnie has taught right through, including preconfirmation classes. (l-r) Revs. Keith Blom, James Wood, Steve Bar tlett, Dan Barr, Brad Julien, Brian Falkenholt, Dan Repo. Confirmand Willow Vogelgesang receives a hug from Ronnie Mensch, with Rev. Richard Mensch looking on. BROADVIEW, Sask. - A service for disposition of a church building took place at St. Paul’s Lutheran Church, January 27. The congregation will continue as part of the larger parish with Peace (Grenfell) and Zion (Wolseley) but will meet in local nursing homes where many of the members abide, and with the other congregations. Rev. Jason Schultz presenting the $525 raised at the Shrove Tuesday Pancake Supper to Allison Duncan of the Galloway Health Centre Handivan Project. Tuesday, March 5 raised $525 for the Galloway Health Centre Handy Van Project. Don and Lou Richter assist Rev. Gerald Andersen with the disposition. T h e c u r re n t b u i l d i n g , u s e d by t h e congregation since 1959, was formerly an armoury. (l-r) Revs. Andrew Cottrill, David Haberstock (Regional Pastor), Geoff Johnston, Barry Wood (Circuit Counsellor), Dan Moeller. Congratulations to the Chili Masters from Trinity Lutheran Church for winning the cookoff and taking home the coveted clown trophy. track, in five years there have been five different winners. The organizers thank everyone for coming out to support Camp Aurora. REGINA - The installation of Rev. Arron Gust as pastor of Grace Evangelical Lutheran Church took place February 24. (back, l-r) Revs. Irwin Pudrycki, Todd Guggenmos, Daryl Solie; (middle) Revs. Bryan Rosnau Jim Chimirri-Russell, Lucas Albrecht; (front) Ted Giese, Arron Gust, David Haberstock. increased awareness the Community Cupboard’s donor base grew. When organizations and individuals come together to support such a program, organizers find opportunities for working cooperatively while learning and caring about their neighbours. The Community Cupboard is even known in the city of Monrovia, Liberia. One of the guests tells her family back home about being able to get help with weekly food items. The Ebytown Brass concert in November raised $3,500 to go towards the weekly purchase of a variety of food items. Even with the limited support of the local Foodbank which provide fresh and frozen food items and well as dry goods like soups and pastas, the Community Cupboard still spends an average of $4,000 per week on grocery products. Rev. James Keller and MP Raj Saini chatting before doors open for Community Cupboard. Now you can also support the Community Cupboard with e-waste. Year-round intake of old smart-phones, tablets, desktops, iMacs, iPods, or iPads (broken or working) are sold as e-waste. All proceeds go to support the 500+ food hampers which are given out each week from November to April. For more information on how to contribute e-waste, please contact: Reg Sargent at rsargen@yahoo.ca 226-647-8337; 519590-1863 (cell) or visit www.jrsargen.com. A box is also available in the narthex at Historic St. Paul’s Lutheran Church. New Gift Coordinator for LCC East Region On February 4-8, KITCHENER, Ont. David concluded an - David Faerber joined i n t e n s i ve one-week Lutheran Foundation c o u r s e on planned Canada on January 15 to g i v i n g , and he is work as Gift Coordinator working closely with for the East Region. the Foundation’s other David is a Lutheran gift coordinators as he David Faerber Church–Canada deacon develops his knowledge. and previously served Please encourage and welcome David as a called Lutheran teacher and as he begins this new chapter in his principal at Grace Lutheran School life, and may God bless David on in Pembroke, Ontario. David brings this journey. extensive knowledge of Lutheran If your congregation is interested Church–Canada, and knows many in hosting a free seminar about of the East Region’s pastors and Christian Estate Planning, check members. the seminar schedule on the website or contact David at dfaerber@ lutheranfoundation.ca or call 1-800465-8179, ext 6. sourced in part from Lutheran Foundation’s quarterly report Lutheran Foundation announced its new Foundation website in January. Navigation has been greatly simplified, and users will find extensive information dedicated towards individual donors, congregations, and LCCaffiliates. Have a look at www. lutheranfoundation.ca. From the regional pastor A look in the Lenten mirror s I write this, we are in the midst of another Lenten season. Growing up, Lent was always my favourite time of the Church Year. I found it to be the most genuine and spiritual. Mid-week services in Lent did not suffer from the same distractions as did Advent. Lent is a time to be brutally honest about ourselves. Lent can be like that first look in the mirror in the morning. We see ourselves for what we really are, not what we might pretend to be. And no amount of time spent to pretty ourselves up can change it. When we see ourselves before the holy and almighty Lord and compare what He demands with what we deliver it can be a frightening sight. And we are helpless to do anything about it. Lent reminds us of that fact. But it also reminds us of the One Who was able and did do something about our sinful condition. And so God invites us through His prophet Joel (2:13) to “Return to the Lord, your God, for He is gracious and merciful, slow to anger, and abounding in steadfast love.” So we poor miserable sinners and wandering sheep are brought back by the grace of God to His fold. He turns us around to head back to Him. It is Christ alone Who can change the face in the mirror—change us from a lost sinner to a forgiven child of God—change us from one condemned to eternity in hell for our sin to one redeemed to life eternal in heaven. CLTS hosts annual golf tourney FENWICK, Ont. - Concordia Lutheran Theological Seminary’s annual golf tournament will take place on Monday, June 3 at Sawmill Golf Course, beginning at 11:30 a.m. (shotgun start at 1:00 p.m.). The $110-per-person registration fee includes barbeque lunch (sausage, hamburger or hot dog, and a nonalcoholic beverage), green fees, golf cart, steak dinner, dessert, and prizes. Register online at https:// events.eventzilla.net/e/clts-golftournament-2019-2138722282. Please register your foursome together. If you are registering separately or you wish to be assigned to a group, complete registration for yourself, indicating your golfing group preference, or contact Linda Lantz (details below). If you are unable to complete the online registration, please contact Linda for manual registration. May 31. If you would like your prize donation picked up, please contact Linda Lantz at (905) 688-2362, ext. 22 (llantz@brocku.ca). Linda is also looking for committee members to help with the tournament. 2018 tournament winners (l-r): Jeff Scott, Ray Nikyuluw, Don Larman, Steve Ritter. scientific worldview will not make a more moral world but in fact one that is less just and more chaotic.” You can hear an audio interview of with Rev. St-Onge on Issues, Etc. at http:// i s s u e s e t c. o rg / g u e s t / charles-st-onge/. Re v. S t - O n g e i s pastor at Ascension Lutheran Church, Montreal (LCMS, SELC District). He has a B.Sc. from the University of Waterloo; M.Sc. (Eng.) from Queen’s University, Kingston; M.Div. from Concordia Theological Seminary, Ft. Wayne; and a Masters in Theology in Science and Religion from the South African Theological Seminary. largest items shipped were diesel truck engines and a small bulldozer used to clear earthquake ravaged yards. The goods were especially appreciated after a weather disaster. A side benefit of handing out goods was the people would then often listen to Christian messages. The voodoo priests made many demands, but the Christians just gave things away. This did not go unnoticed. These items certainly helped many people survive better. The society thanks everyone who made a donation of goods or funds which made these shipments possible. Marjorie Wilde retires from LCC, East District Corporation KITCHENER - Many readers will know Marjorie from her work on the East District Church Extension Fund and in accounting. She has been a mainstay in the East District office for more than a decade and a half and her skill, efficiency, and knowledge has impressed us all. She will be deeply missed. Marjorie’s last day was March 29. May God richly bless all the days of your retirement, Marjorie! the Transfiguration Fund totalled almost $1,500. The congregation’s Social Ministry budget added another $500. The Nicaraguans wasted no time to respond once the funds arrived in mid-March. These pictures show congregational members working with mission team staff at the church in Somotillo near the Honduran border. A second church in El Realejo just outside of Chinandega was painted next. A third house church in Villa Nueva received paint to refresh the worship room in the pastor’s home where services are held. The situation in Nicaragua remains tenuous but God has not forgotten those whom He loves. Faith Lutheran Church in Kitchener continues its servanthood at home and to the brothers and sisters of the ILSN. LCC International Mission Executive on hand for formation of Honduras Synod HONDURAS - In early February, Lutheran Churchâ&#x20AC;&#x201C;Canadaâ&#x20AC;&#x2122;s (LCC) International Mission Executive Rev. M a r k S m i t h m e t w i t h representatives of The Lutheran Church Missouri Synod (LCMS) and Lutheran Church Synod of Nicaragua (ILSN), along with members of the local mission, for the annual Central American FORO (forum) in Tegucigalpa, Honduras. At the FORO meeting on February 1, all the necessary legal documents were signed and the members present witnessed the formation of the Evangelical Confessional Lutheran Church of Honduras (ECLCH). Founding members of the Executive Board of the Evangelical Confessional Lutheran Church of Honduras. established church bodies, along with members of the mission in Honduras, formed the Central American FORO several years ago to discuss ways in which they could work in harmony to support the mission-field. For the past two years, the FORO has worked toward attaining legal status for the mission with the Honduran government. LCC gives thanks and praise to God for all the people involved in this historical and blessed event, and call upon the Lord to continue to richly bless the ministry of His Church in Honduras. Helping you be wise with money and live generously. in June 2019 to serve a parish pastorate. The call to Rev. Kim was extended on February 4, 2019, following a meeting of CLTS’ Board of Regents. New issue of Lutheran Theological Review CANADA - The latest issue of Lutheran Theological Review (vol. 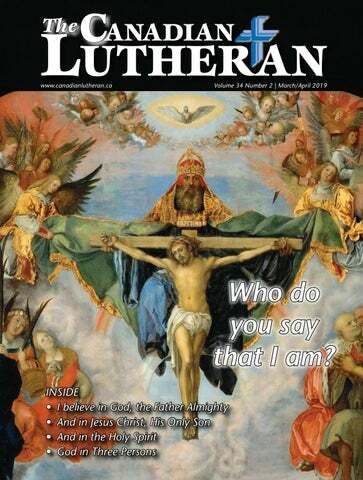 29) is a themed issue dedicated to the 500th anniversary of the Lutheran Reformation. The publication of the volume was delayed until early 2018 in order to include essays from significant conferences in the jubilee year. Lutheran Theological Review is an annual journal published by the two seminary faculties of Lutheran Church–Canada (LCC). It provides a forum for LCC professors and pastors to publish their research, and for the seminaries to provide resources to stimulate the minds of our pastorate and laity. Free copies are sent to every pastor in LCC, and paid subscriptions are available. The full text of the current issue and all back issues is available online for free at concordia-seminary.ca/ltr/. two pieces: “The Reformation of Salvation: Biblical Reflections on the Reformation” and “The Reformation of Sanctification: Biblical Reflections on the Reformation.” Also included are two sermons by Rev. Dr. Naomichi Masaki on LUke 24:13-27 and Rev. Esko T. Murto (Luke 24:28-35). publishing companies, which makes such smaller companies increasingly attractive to younger generations who are interested by more alternative arts. Are we surprised that solid Lutheran teaching deeply rooted in Holy Scripture, our Lutheran traditions, and our Lord’s Sacraments translates itself to such creative endeavours? By no means! Those who best appreciate our doctrine often express the richest of missionary zeal in sharing the Good News of God’s unconditional grace and love found in Jesus Christ with the world around them. Just as a healthy diet results in healthy living, a diet of wholesome theological education has practical and meaningful impact on how we communicate that Gospel to the unchurched. Grail Quest is a great example of how such enthusiasm for Christ and his cross translates itself into relevant missions to communities that appreciate imaginative thinking and creative writing. Find out more about Grail Quest Books at www.grailquestbooks.com. Rev. Dr. Harold Ristau is Assistant Professor of Theology at CLTS in St. Catharines, Ontario. theme for 2019 is “Technology and Theology.” The keynote speaker is Dr. Craig Gay from Regent College (Vancouver, B.C.) who will speak on “Downsized: Modern Technology and the Diminishment of the Human”. Dr. Gay’s lecture is open to the public and free to attend, taking place Friday, May 3 at 7:00 p.m., with reception to follow, in the Tegler of Concordia University of Edmonton. This conference is presented in collaboration with the Machine Learning and Artificial Intelligence Research Cluster at CUE. On Saturday, the conference will also feature a panel discussion dealing with these matters. P l e a s e re g i s t e r a t h t t p s : / / goo.gl/561nKf. Post-Secondary students are eligible for a free grant to attend at http://www.ccscf.org/ conference/grant/ and there are also grants for pastors at http:// www.ccscf.org/conference/clergygrants/. audiences is that if people learned how to live in harmony then the dragons would return and there would be a blissful age of dragons and humans living together. While Christians know that in this life there will always be a need for confession and absolution, for the forgiveness of Jesus, they may want to take this notion presented at the end of the film and talk to their kids about the hope they have together in Christ Jesus for the new heaven and the new earth promised by Him in which righteousness dwells (2 Peter 3:13). Utopia may never be achieved in this world but we know that in the world to come, true harmony will be experienced by all who are in Christ Jesus. The animation in How to Train Your Dragon: The Hidden World i s g re a t , the dragons are fun and colourful, the music is wonderful, and the voice work is above average for these kind of films. It may not be the best film in the series but it ties them together in a satisfying and fulfilling way. There could have been a little less action so that some of the minor characters could have a bit more screen time and character development, but this is a small complaint: with two television series, Dragons: Riders of Berk (2012–2014) and Dragons: Race to the Edge (2015–2018), these characters have had a lot of room to breathe and grow. Families and audiences who have watched these films and shows for years will likely be very happy with director Dean DeBlois’ conclusion to his How to Train Your Dragon trilogy. How to Train Your Dragon: The Hidden World is a rather unconventional film presenting a positive view of authority and the struggle a good leader faces balancing being true to their vocation with the needs of those they serve. Rev. Ted Giese is lead pastor of Mount Olive Lutheran Church, Regina; a contributor to LCMS Reporter; and movie reviewer for the “Issues, Etc.” radio program. Rev. Daniel Barr from Zion/St. Luke’s (Augsburg/Eganville, ON) to Faith (Atikokan, ON). Talking about what we believe can be overwhelming and intimidating, especially when we hear that ethics and morality naturally exist in society and there is no need for the truth that comes from the Gospel. But the Great Commission exists—we have been called to share and the Good News is worth talking about! Christ the King Lutheran Church (Port Rowan, Ontario) resigned from membership. Rev. Mark Danielson from Trinity (Fisherville, ON) to Emeritus. Rev. Geoff Johnston from Lutheran C h u r c h o f A u s t r a l i a t o Tr i n i t y (Churchbridge, SK). Rev. Daniel Kitsch from St. Paul (Tavistock, ON) to Candidate Status. Rev. Scott Lyons from Hope (Victora, BC) to Bethlehem (Edmonton, AB). Rev. Thomas Prachar from Central District President to Emeritus. Lutheran Hour Ministries (LHM) has partnered with The Barna Group, a research firm that studies faith and culture, particularly in the Christian church. Together LHM and Barna have compiled research and created tools to help prepare you to have Spiritual Conversations in the Digital Age. Find the Outreach Essentials courses Everyday Opportunities, Eager to Share and Prepared to Respond at www.LHM.org/Learn. Rev. Jeremy Richert from St. John’s Magrath/St. Matthew (Milk River, AB) to Holy Cross (Dakota Dunes, SD LCMS South Dakota District) Rev. Dr. Glenn Schaeffer, Candidate to St. James (Grand Rapids, MI LCMS Michigan District). St. John’s Evangelical Lutheran Church (Nelson, BC) closed. Rev. V. Roy White to LCMS Northwest District. Rev. Paul Zabel from East District President to Emeritus. Zion Lutheran Church (Surrey, BC) has changed its name to Hillside Christian Church. Deacon Deloyce Weist from Bethel Lutheran School (Sherwood Park, AB), removed by peaceful release. 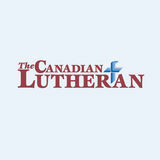 The Canadian Lutheran sells advertising space to help offset the cost of printing and shipping the magazine to congregations and subscribers. To purchase classified space, or to receive a rate card for other advertising opportunities with The Canadian Lutheran, please email admin@lutheranchurch.ca or call 1-800-588-4226.
communion without confession. Cheap grace is grace without discipleship, grace without the cross, grace without Jesus Christ.” Hear also the words of Herman Sasse: “The great danger of the church of all ages is that she preaches repentance to the world and at the same time becomes a castaway because she forgets that all true repentance must begin at the house of God, with the repentance of the church. We should learn from church history that up to now every new day in the church of Christ has begun with a movement of repentance. Christianity itself once entered world history as a mighty movement of repentance. And the Reformation, with Luther’s first thesis and the saving message of the justification of the sinner through faith alone, is the greatest example in the history of the church for this truth. At that time people did not yet believe that the world could be renewed by world conferences. Today we believe that by conferences and organizations, by pronouncements and radio speeches we can spare ourselves the bitter way of sorrows of contrition and repentance—until God’s mighty hand one day will also crush those means and teach us that the church lives by the means of grace, and by nothing else.” Forgiveness comes through the recognition of sin. So let us not treat sin lightly—treat grace lightly—but instead seek mercy in the One who receives repentant sinners. Plan. Make a difference, for your loved ones and the ministries you value. Of the $56 million in gifts designated by donors to specific LCC ministry organizations, one-third will go to congregations. Acceptance and Use Policy on the Foundationâ&#x20AC;&#x2122;s Resource page.